You must make reservations at least 5 minutes in advance of the time at Black Pearl Ann Arbor. There is ample parking behind our building and structures only a block away. Bus and taxi stops within the block. The Black Pearl Ann Arbor is an upscale seafood and martini bar with a very relaxed and comfortable atmosphere. 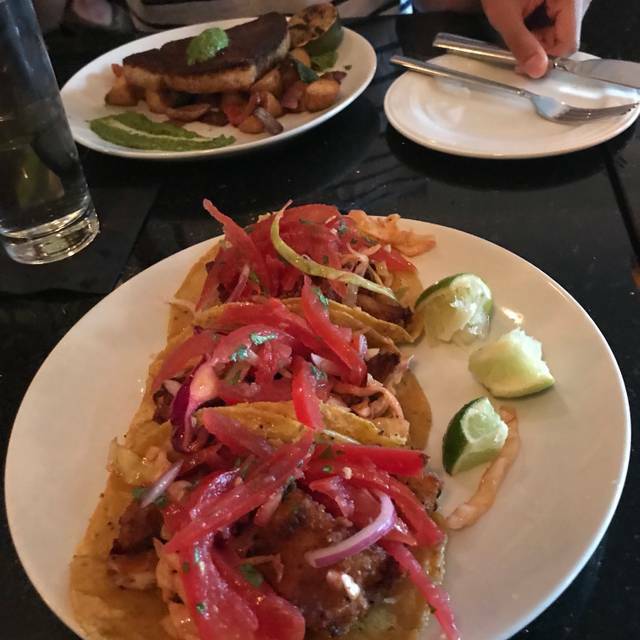 Our food and service is some of the best you will find in all of Ann Arbor. 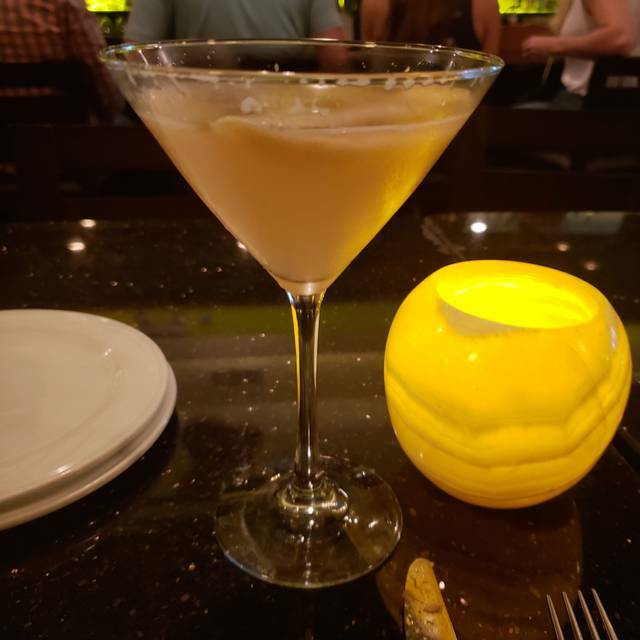 We have an extensive martini, beer and wine menu, a little something for everyone. Our guests range from executives to students and everyone in between. We offer food and drink specials daily and weekly. 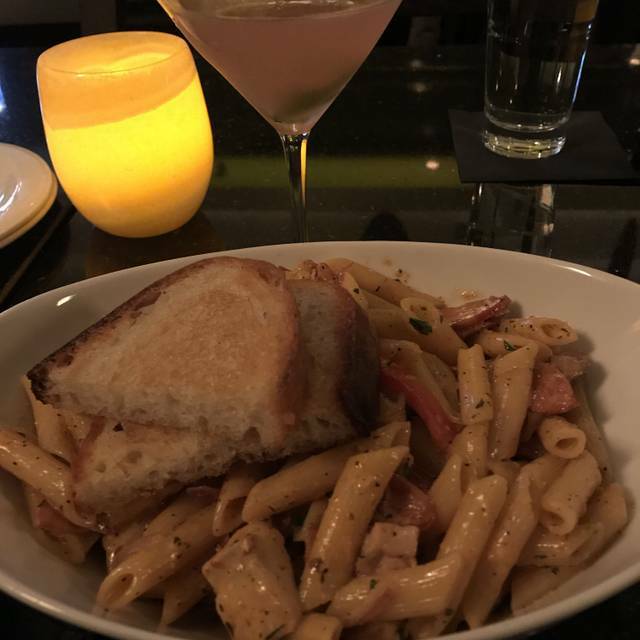 Whether you are looking for dinner, or drinks and apps after a show, or after any University of Michigan athletic event, we here at the Black Pearl Ann Arbor welcome the opportunity to show our guests a wonderful evening. 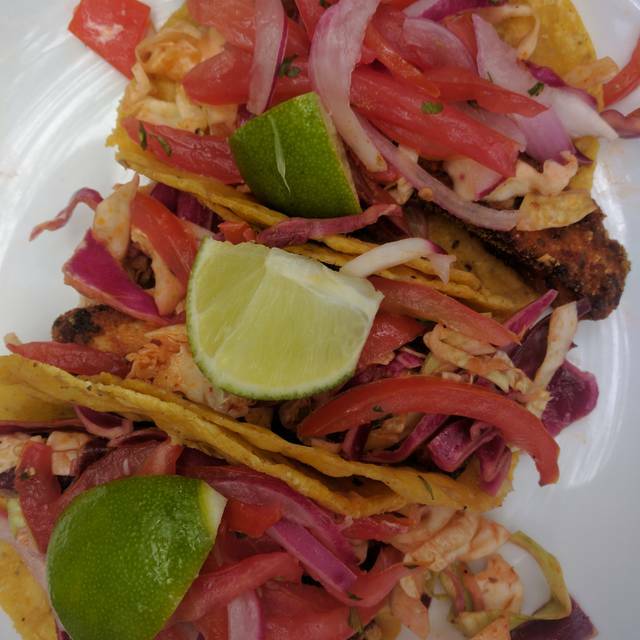 Our Award winning Fish Tacos are simply the best you will ever have! 1st time to the Black Pearl - I would definitely go again. Wasn't super hungry so got the shrimp cobb salad. I thought the amt of shrimp could have been greater but salad overall was very good. I would like to return and try one of their entrees as they looked very enticing. Great atmosphere, food, and people at Black Pearl! Every time. This was their 2nd weekend of having a brunch menu and I was excited to try it. The pamplemousse cocktail was light and refreshing and since I'm not a gin drinker, I was glad it didn't overwhelm the drink. The Monte Cristo had a nice balance of bread, cheese and thick-cut bacon. Adding a bit of raspberry preserve to each bite was the perfect amount of sweetness. We also ordered a side of sweet potato hash and were not disappointed. The poblano with the sweet potato, red pepper and onion was a nice combination. I went with someone who likes to ask for recommendations and the server wasn't too helpful but as time goes on maybe they will have tried selections and be able to recommend some items. First time at Black Pearl. Excellent atmosphere. The food was outstanding. Can't believe I haven't been there yet. 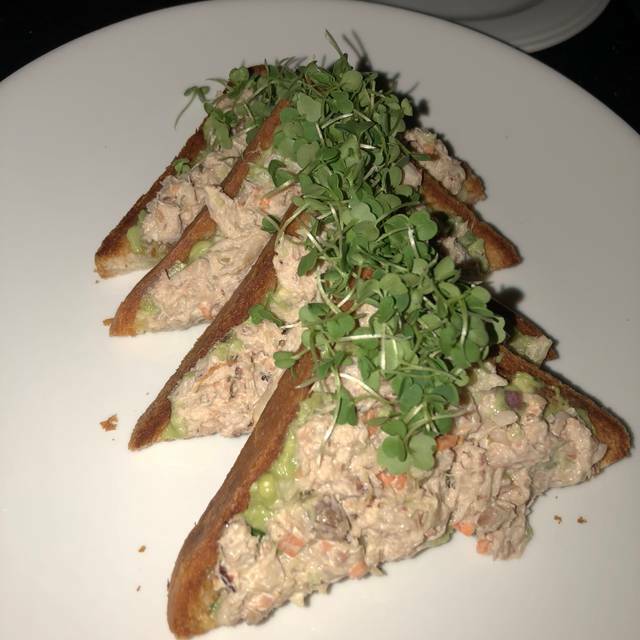 Highly recommend the Tuna. I really enjoyed my meal and the service was great! I will be back! My boyfriend and I sat outside and had a fantastic brunch. The french toast was amazing and the service was excellent. It was very nice enjoying brunch outside in A2 on a beautiful Sunday morning. I highly recommend this restaurant! Great food! Several veggie options! New favorite spot!!! Food was very good and service was very efficient, I'd say too efficient. Felt like they really wanted to keep turning tables. I'd avoid if looking for a relaxing dinner. Black pearl has wonderful food. Love everything I order and the drinks are also top notch. Didn’t realize they did taco Tuesday so my tacos were only $4 each. Katrina (?) was our server. 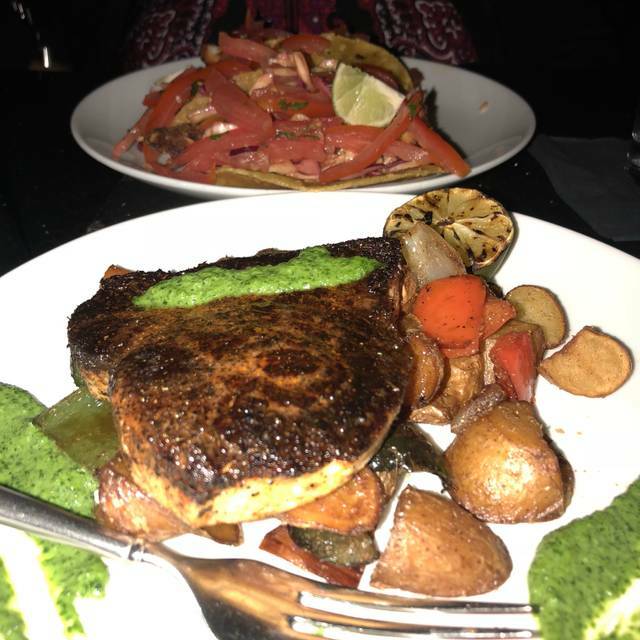 She was very personable, knowledgeable about the menu, offered wonderful suggestions and was attentive without being overbearing. 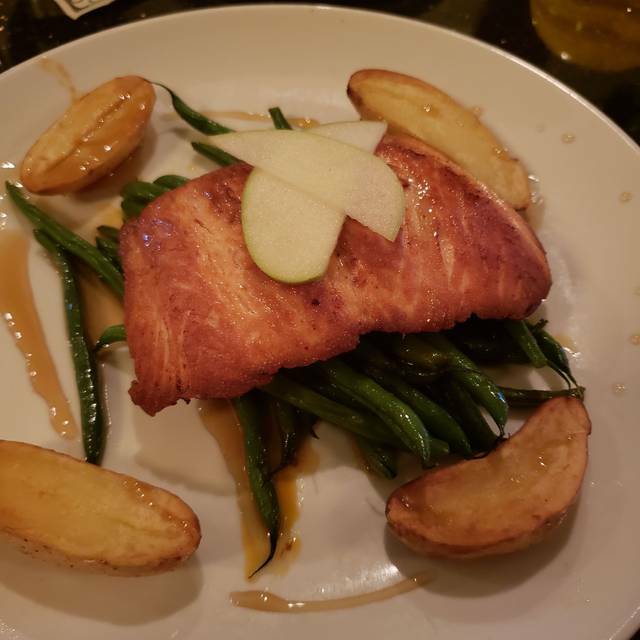 I had caramel apple salmon - and cannot recommend this dish high enough to do it justice! My friend had three types of oysters on the half-shell and lamb chops - all of which he raved about, too. It is highly recommended a reservation be made ahead of time! Food and cocktails were very tasty. Service was good also. Wonderful experience dining at the Black Pearl. The Freddie Mercury martini is to die for. I would also recommend the Cioppino if you like mussels. Food and service were both good. Fish tacos are always very good here. Beer and wine by the glass selection was somewhat limited. Pre-gallery opening. Awesome drinks & service!! We had a great time! The food was delicious and the service top notch! My new favorite restaurant in Ann Arbor! Food and service was exceptional! Overall an excellent experience. Better than other higher-end restaurants on Main Street! We were a party of 10 on a Friday night. First time visit for most of us. Great food and service. Our waiter was attentive and friendly. Food was pretty good and so was service. A little bit loud and booths at back occasionally forgotten. Black Pearl offers sophisticated ambiance, with great food and superb, personal service. Great location too, close to The Ark. We went to The Black Pearl for the first time and we'll definitely be back again! I ordered the pork chop and my husband had the roasted half chicken. Delicious! Reserved table days in advance for my birthday and was given a table in the back room. Service was slow- felt like our table was forgot about in the back. However, the food was excellent. 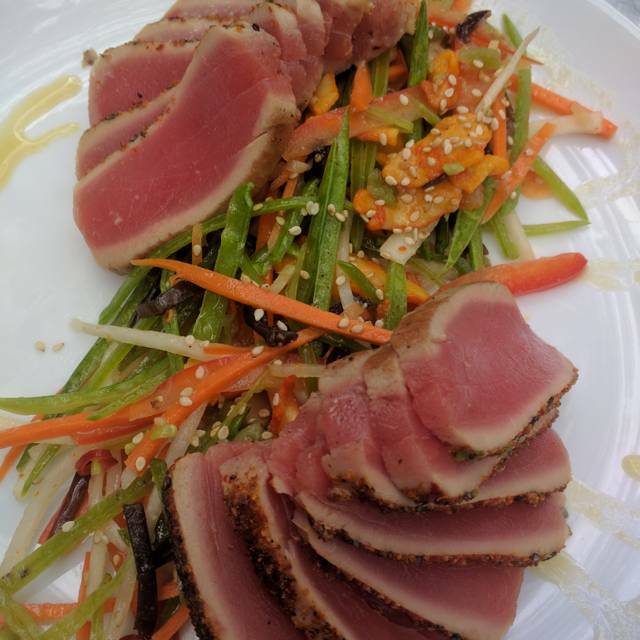 Black Pearl has inventive drinks, great food, and a friendly staff. It's definitely one of my Ann Arbor favorites. We come here often. Jonathan our server was tremendous. Very nice and courteous. Everything was great!! We loved the atmosphere and the food and service was outstanding!!! We can’t wait to go back! Great meal and we were not rushed at all. We had appetizers, main courses, dessert, and a variety of cocktails and wine. If we were in a rush it may have been a problem, but we enjoyed taking our time and enjoyed the space. It is a bit loud, but the food was outstanding and I will gladly go back again. In particular, the coconut shrimp appetizer was delicious. We had a family birthday party, it’s my husbands favorite restaurant. always love it there. wait staff very friendly and on top of things. food is delicious. We had a great time. After reading some of the reviews I was not 100% confident when I booked this place for our pre-Valentine day dinner, and this skepticism was still there when we entered and were seated. But from the first contact with the server, we knew it is going to be a good evening. Food was just great. Both appetizer and entree were just delicious. Dessert was a little late and despite our insisting, they had it on house and excluded from final check. We will definitely return to this place. Everything was just great! The drinks, the food, the server, the hostess--all made for a lovely evening! Great food. Great service. The space was a little small but we didn’t mind too much. Great drink menu and wine selection. Excellent food!!!! Always enjoy going with friends. I really wanted to love black pearl. Sold as an upscale experience with reasonable sized menu and nice location. The food was good, but the appetizers were expensive for what they were (calamari - I think there are a half dozen restaurants in A2 I've eaten at with better/more calamari for a reduced cost). The entree costs were very reasonable and appropriate. The service though we really not reflective of an upscale experience. The hostess was on her phone when we walked in and was clearly pretty bored. I get it, it was a slow night (Thursday), but still, appearances/ambiance matter. Similarly, our waitress was fine, but as we were leaving I saw she was eating her dinner in the next room, which sort of explained the slow service even though the restaurant was very empty. I wanted to love the black pearl. I was intrigued by the chef's table and was thinking of pursuing it with some friends. But after the night we had, I'm pretty "meh" on it. The food was good, the prices were mixed, the service was poorish (but not horrible). The service and cocktails were good as usual but the food was really disappointing. It was bland. I like going to restaurants with smaller portions and don't mind paying for it but for the prices I expected a higher quality of food. Food was delicious! We would definitely recommend the clam chowder. The staff was friendly too. We will definitely be back! Food was really great. The fish tacos were awesome. The only downfall is the drink options. We bother prefer craft beer to craft cocktails but there were only bottled beers, none on tap. Somewhat limited selection. But overall really good experience!